A forum of Jrock threading, as you may wish! ForeverJrock » JOINING! » Applications » Application Forms HERE! To get a Jrocker, please fill this out by copying it by right-clicking, going to copy, and then do a new post in this topic. Then, paste it by right-clicking once more, and then just typing in your answers! You will get a reply from me if you have been accepted or declined. If accepted, find another Jrocker on here, and have fun posting! If declined, I'll help you fix your application! 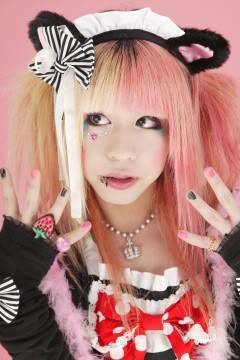 What they look like(picture NEEDED)- Reita USUALLY has blonde hair, and has square-shaped eyes. He wears a noseband, which makes him look cute, and he is a "cockatoo" to give him imagery. Their personality- Reita is quiet sometimes, but...the quiet ones are ALWAYS the biggest pervs! Though, he is very very sweet to his lover, and he kinda is a bit grippy, never wanting to let his lover go within a few feet of himself. A sample of YOUR rp style (3 to 4 sentences)- Reita let a long sigh out, blowing smoke as he did so. Today...was not a good day...not since he had JUST been cheated on by his boyfriend. How could ANYTHING cheer him up after this? Really...nothing would be able to, but he didn't give up...even if he DID cry for a long time only a few minutes ago. Any extra information you may think necessary- Reita can read minds. Their age- old. 8D 27? Any extra information you may think necessary- not really. Um...I was so lost. let me know if I did this wrong kay? It overall looks good. Accepted. So...just randomly start somewhere, or something, and someone will join in eventually. Their personality- Loud, spontaneous, loves all things cute. A sample of YOURrp style (3 to 4 sentences)- Mashiro frowned a bit, a blush coming to his cheeks as he avoided the other male's eyes, studying his shoes as he swung his legs idly. In a situation like that one, he couldn't look him in the eyes - he had a fear of his feelings showing completely, and he hated being vulnerable. Accepted! Go ahead and start posting. NOTE: Ayuna on here is Hiroto. I think she changed her name though! 7 Re: Application Forms HERE!